Eric, this is beautiful. 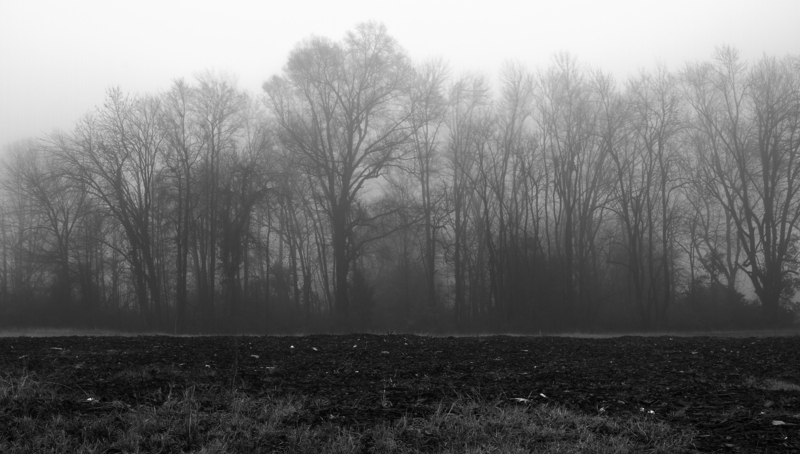 The texture of the foreground and the softness of the fog and bare trees make every bit of this image interesting. This is really beautiful. I’d like to say something unique but courtney already beat me to it. So, ditto what she said. Well done. Beautiful photo Eric. I love the contrast. This is creepily beautiful! The stillness and solitude is beautiful and makes you wonder what is going to come jumping out at you.